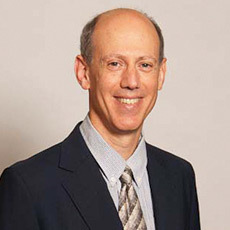 David S. Titelbaum, M.D., has been a member of Shields Radiology Associates since 1992. Dr. Titelbaum received his undergraduate degree from Amherst College and medical degree from Tufts University. He completed his internship in medicine/surgery at Newton-Wellesley Hospital; his radiology residency and fellowship in neuroradiology were completed at the Hospital of the University of Pennsylvania. He is a member of the American Society of Head and Neck Radiology, American College of Radiology, and Radiologic Society of North America, and is a Senior Member of the American Society of Neuroradiology. Dr. Titelbaum is certified by the American Board of Radiology with a certificate of additional qualification in neuroradiology. In addition to neuroradiology, head and neck, and ophthalmologic imaging, Dr. Titelbaum specializes in orthopedic, spinal, and podiatric imaging. He has recently been a clinical investigator in NIH-directed research on MRI of prostate and rectal cancer. He also presents many lectures and conferences to the medical community and has authored numerous peer-reviewed publications.